This sounds amazing! I think as Christians we sometimes fall into a track of performance, trying to please God and check things off the list, when instead we should be resting in his love, living life in community, and just being His. I'm so grateful that my church is particularly good at these things. I enjoyed your review very much. I don't know if I would read this book, but the main point she makes is awesome for people of any faith or belief system: do unto others... if we help those who need help, it benefits everyone in the long run. Thank you for sharing your thoughts. Indeed! I think people of any faith can get caught up in the everyday of their worship, instead of remembering to focus on God and other people. This sound great, and I know that even though we like our church, we do question sometimes if we're doing the right things rather than just "being active" in the church. 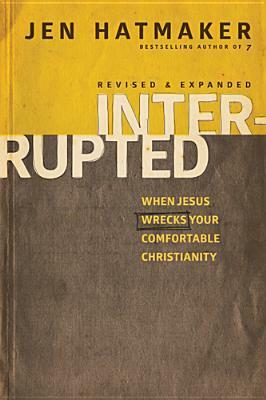 Many of us want to be "comfortable" (I know I do) but I'm not sure that's what Jesus had in mind for us, and that can be hard to reconcile as a Christian. I really like those quotes you presented also. Very thought provoking. Yup! The difference between being busy and active in our churches and really doing what Jesus tells us to do rang very true for me. Let me know if you decide to give Interrupted a read!